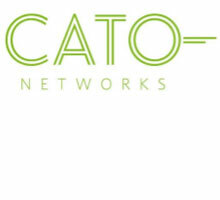 Cato Networks is building the new Software-defined WAN, in the cloud, protected by a tightly integrated set of security services. The Cato Cloud connects all business resources including data centers, branches, mobile users and cloud infrastructure into a simple, secure and unified global network. 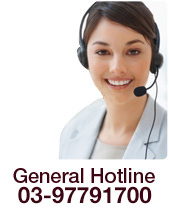 No more costly connectivity services, complex point solution deployments, capacity constraints, maintenance overhead, or restricted visibility and control. Zscaler Web Security leverages the world’s largest global security cloud to deliver the industry’s most comprehensive protection against advanced and emerging threats. And, because it relies on our patented, multi–tenant 100% cloud architecture, it delivers all the benefits of proactive, Real–time security without the need to deploy and manage appliances, software or agents. Kemp Technologies KEMP Technologies is the industry leader in advanced Layer 2 – 7 Application Delivery Controllers (ADC) and application-centric load balancing. Developing application – centric load balancer solutions for large and mid – market enterprises, hosting and managed service providers, and public sector education and federal entities. KEMP’S LoadMaster™ line of application delivery controllers (ADCs) integrates powerful, stable, essential load balancers with layer – 7 content switching, SSL acceleration and security. Going IT and communications infrastructure is fundamental to every organization. With the explosion of the IoT, the need for smarter real-time decision-making, deeper data analysis, more robust data storage, always-on connectivity and network resilience becomes even more critical. Enter Opengear with next generation intelligent solutions for managing critical infrastructure and increasing network resilience. 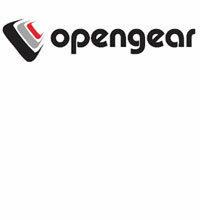 Opengear provides the automation, network resilience and security necessary to efficiently manage and protect critical IT, communications, network and power infrastructure and ensure business continuity, globally. Statistics showed majority of corporations suffered from confidential data theft, business partner phishing, data tampering by insiders or outsiders, and application hacking, do not aware until major losses are seen. If confidential letters are used to sealed and chopped while invaluable gemstones are used to be deposited in safeboxes, sensitive electronic enterprise data should be protected and insured. Bloombase believes the problem should best be solved by cryptographic technologies.